My first encounter with this catfish was in nature. The Llanos of Venezuela to be precise and even though not one of the stand out fishes of that trip it has rather stuck with me. Like many of us in the hobby, I like a good mystery and with this fish I had found one. Later in the same trip we took the opportunity to visit the public aquarium in Valencia and I encountered this species again. 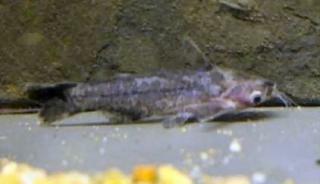 The translated common name it was exhibited under was Penguin Catfish, logically, I thought, from the Penguin Tetra (Thayeria boehlkei) which shares the same basic tail fin markings, a silvery body with this pronounced black diagonal stripe on the caudal fin. Six years later I find the same silvery fish for sale at my (at least by American standards) LFS called Outside Inside Aquatics in Haddington, Scotland. 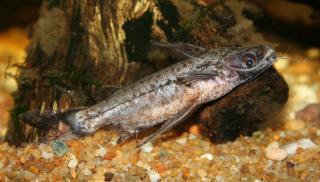 Since then my interest in the smaller woodcats had been stoked somewhat by Marc Stabel and his one man mission to bring these fishes to the attention of the wider catfish keeping community. Even so, these were were really rather attractive fish especially by catfish standards. I took them home and, conscious of the environment where I found them in the Llanos, set them in a smaller tank (11"x15"x15") of their own with a sandy base, a few strands of Cabomba, low light and some vertical lengths of tanin rich fresh bogwood. They seemed happy, I lost one of the group to malnutrition but they fed well especially on frozen bloodworm. After about three or four months I ended up with several males and at least two females. It was at this point the fishes started to change. 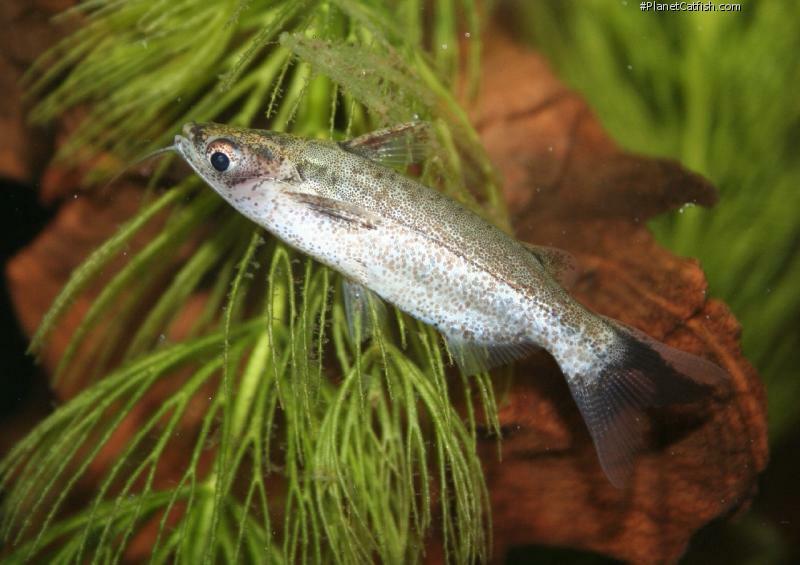 The males grew darker, their barbels thickened and twisted and eventually they turned from a silver fish to a silver fish with so many brown spots as to appear brown particularly around the muzzle. But it was with the leading fin rays that the change in the males was most pronounced, these grew to four or five times the size of the immature fish to the point that the look like an ungainly manmade veiltail and the dorsal fin, like the barbels, kinked to an odd angle. To a lesser, but still prononced way, the now also noticable plumper females darkened too, but didn't otherwise change. 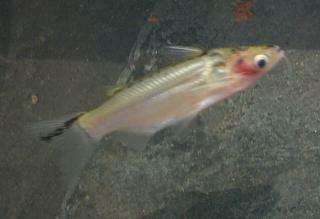 An odd thing here is that the fish left at the store, mostly also males, did not change and remained silver. Something I did appears to have triggered this metamorphosis. It might just be the presence of females, lower light, warmer water, better food or, as is often the case, a combination of factors but change they did. All it really proved I think was the change was not the result of some form of "internal clock". In terms of behaviour, the fish also appeared to become less active in the midwater column and took up a more traditional Auchenipterid life style lying around bits of wood. I reacted to this by taking them out of the flowing water of their smaller tank and putting them into a larger tank (24"x15"x15")with lots more wood, java moss and less water current. I thinking about this I came to the fact that in the Llanos these fishes are found in areas that flood to wide open spaces during the year that contract to pools and lagunas when it dries out. Those pools often being filled with wood and generally a bit murky. So, then , do the fish spend their time in the vast clear flooded plains as relatively sedentary, brownish fish? When they're condensed into pools are they silver and shoaling? Maybe so, and certainly the specimens collected appear to do this. I also I think that they must reproduce in this brownish garb but let's just see what happens in my aquarium over the coming months before I conject any more as perhaps this change in appearance is just to do with life in flooded plain versus muddy pool. Type Locality Mouth of the Río Apurito at the Río Apure, near San Fernando de Apure, Guárico State, Venezuela. Etymology Entomocorus: From the Greek, entome, meaning notch, and kopus, meaning helmet - "notched helmet". Identification This species is identified by the black stripe in the upper caudal fin lobe, the lower caudal fin lobe is clear. The body colouration appears to be variable and ranges from silver to mottled.